Briton Toby Ricketts and Kiwi Marianna Fenn became the first couple in the world to have a Pastafarian wedding. For those not familiar with Pastafarianism, it is a social movement and pretty much an alternate religion that has a growing following around the world. The religion has a deity and a place of worship. The deity is a Flying Spaghetti Monster and there is a Church of the Flying Spaghetti Monster. In 2015, New Zealand granted the approval for the Church of the Flying Spaghetti Monster to officiate and conduct weddings. All such weddings are now legally valid. Pastafarianism originated as a satirical take on existing religions, most notably American religious fundamentalism. It is a lighthearted and harmless take on everything associated with dogma. In fact, the religion has a dogma of its own and that is to reject every dogma. The church advocates that if all the religions around the world can have so many gods with or without form, then a god made of spaghetti and meatballs can be a possibility. Even the name of the movement and the subsequent religion, Pastafarianism has been coined from Rastafarianism and Pasta. A federal court in the United States has ruled that it is not exactly a real religion. What is heartening about the Pastafarian wedding in New Zealand is the uniqueness, the humble celebrations and the hilarious take on customs. The bride and the groom wear dressed as pirates, the wedding venue was a pirate ship and all the guests wore something or the other that has been fashionably and culturally associated with pirates, from eye patches to quaint hats. One could not be mistaken to think they had been teleported to the set of a famous pirate movie. Both Toby Ricketts and Marianna Fenn were not in favor of getting married in the conventional way. They had actually made no plans to get married, albeit they had been dating for four years. But they learned of the approval from the New Zealand government and decided to do something original, unprecedented and fun. The entire Pastafarian wedding cost only three thousand dollars of local currency, which is an equivalent of less than fifteen hundred pounds. The couple invited some of their closest friends and of course fellow practitioners of Pastafarianism. The couple exchanged vows in their own style with the groom promising at one stage to add salt while boiling spaghetti. There was a wedding feast too. The couple brought around fifteen kilograms of tomatoes from their own garden. There were vegetarian meatballs, bread and pasta. At a time when couples spend tens of thousands to have their wedding and many get into a debt in the process, marrying a sweetheart in a completely original manner and spending less than a month’s wages is definitely a fascinating alternative. Pastafarianism is not confined to New Zealand alone. It is a religion recognized by law in the Netherlands. May many more couples tie the knot with the Church of the Flying Spaghetti Monster officiating the inexpensive ceremonies! When it comes to planning your wedding, it stands to reason that you have a ton of things on your mind. Chances are, wedding liability insurance is not at the top of your list. However, you may want to consider changing that. While we understand that planning the perfect wedding involves juggling dozens of different elements, liability insurance is still something that should remain a significant concern. No one is saying that buying insurance is going to ensure that something bad actually happens. Instead, think of wedding liability insurance as protection against anything that may happen. And if something does happen, you’ll be prepared for it. 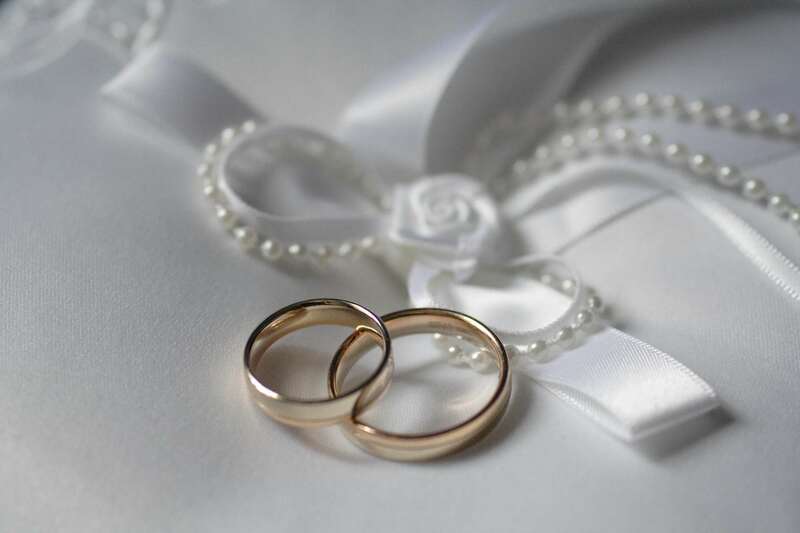 What Is Wedding Liability Insurance? 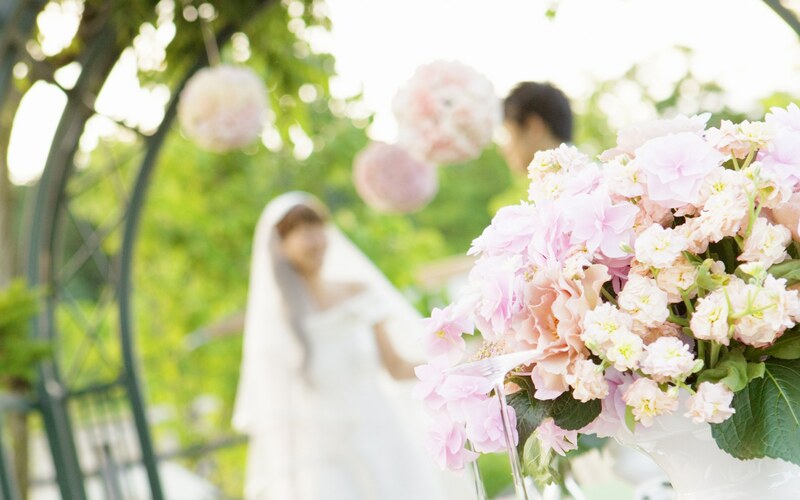 Wedding liability insurance is essentially designed to protect you on two levels. In the first place, liability insurance is meant to cover the expenses involved with being found liable for any guests who are injured at your wedding. Furthermore, wedding liability insurance also protects you from the possibility of the venue being damaged during your wedding. One is going to find that many of the more established/popular venues for weddings are going to require you to have some form of insurance. 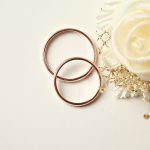 You can opt to protect not only yourself and your partner, but other members of the wedding party, as well. For example, you may want to take out a policy that protects the father of the bride, the mother of the groom, or both of these people. This is something you can discuss with any insurance provider you research. You’re going to find that there are a number of companies that offer wedding liability insurance. In terms of when you should purchase wedding liability insurance, the sooner you take care of things, the better off you’re going to be. You want to take advantage of the peace of mind that comes with having your liability insurance needs handled early on. However, it is worth noting that with many companies, you can purchase your insurance as late as the day before the ceremony. You can also opt to purchase your wedding liability insurance a year or two before the ceremony. Naturally, you will want to find out what your window is with any provider you encounter. Keep in mind that the wedding liability insurance package you purchase can be completely different from the package someone else purchases. Your insurance package will be subject to specific terms of coverage, conditions, and even exclusions. You will want to make sure you understand everything about your package, prior to making an actual commitment. Furthermore, you will want to learn more about event cancellation/postponement plus. While you are not required to purchase these things, it is generally considered a good idea to do so. At the end of the day, you want to give yourself the most comprehensive liability insurance possible. You’re also going to want to make sure the policy you purchase matches the size of your wedding. If you have a small wedding lined up, you can probably get by with a fifty-thousand dollar liability policy. However, if you are planning to have a fairly large wedding, you may want to consider a liability policy that goes as high as four or five million. 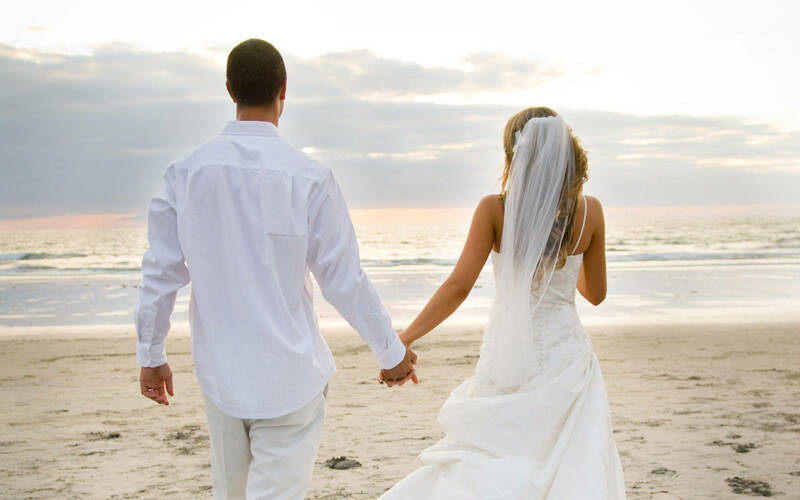 Finding a wedding liability insurance provider is a fairly straightforward matter. In terms of how to find the best one for your particular occasion, you are going to want to look at providers who have exceptional reputations. You want a provider who is going to take you through all of the particulars of your policy, with the policy itself matching up to your needs to the letter. There are a number of providers out there to choose from. You may want to ask someone you know, if you want to have a good idea of where to begin your search for a wedding insurance provider. However, with a little online research, you’re going to find yourself with a range of providers. WedSafe, Markel American, and CSI Special Event Insurance are all providers of wedding liability insurance. You will find that all of these companies have strong reputations for providing their clients with comprehensive, personalized insurance packages for your upcoming wedding. Start your search with these companies. Thanks in part to the Lord of the Rings, New Zealand has become a massively popular tourist attraction. Over the course of the past ten, twelve years, people from all over the world have come to appreciate the extraordinary, staggering beauty of this remote part of the world. From the deep, rolling hills, to the lush forests, to the unique culture, New Zealand offers a great deal. If you are looking for a wonderful place to have your wedding, it is well worth considering New Zealand. Have You Considered New Zealand For Your Wedding? The Lord of the Rings films, as well as the recent Hobbit trilogy, have done a wonderful job of emphasizing the lush, dizzying beauty of the New Zealand landscape. However, if you truly want to appreciate the diversity and potential for adventure offered through this country, you’re going to want to do a little more research. The more you learn about New Zealand, the more excited you are going to become about what it has to offer. Imagine the type of wedding you would like to have. Chances are, New Zealand can accommodate you. The Church of the Good Shepard: Located at Lake Tekapo, the location alone for the Church of the Good Shepard is going to take your breath away. While it is still used as a place of significant worship, it is also very popular as a wedding destination. You’re going to find yourself surrounded by miles and miles of gorgeous mountain visuals. Wellington: This remarkable city in New Zealand is also the capital. It is one of the top tourist destinations, to be sure. 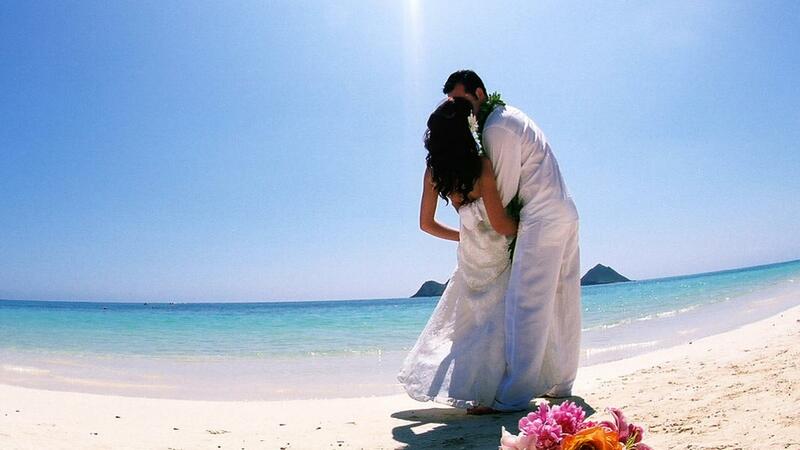 At the same time, it is a city that is packed with wonderful wedding destination possibilities. You can exchange vows at the beautiful marae at Te Papa, which is the country’s national museum. Old St. Paul’s is another possibility. Mount Cook: Try to imagine a wedding at the top of Tasman Glacier. You’ll be able to exchange your vows amongst the snow-capped peaks of the region, located in one of the most visually arresting locales on the planet. Have a catamaran adventure: If you’re willing to plunk down some cash for a catamaran, you can take advantage of one of the most thrilling wedding opportunities imaginable. You can sail around the stunning tropics of the Bay of Islands, or you can explore everything Lake Rotoiti has to offer. Consider a hot air balloon wedding: If you really want to appreciate the tremendous scenic beauty of New Zealand, you may want to consider a hot air balloon wedding. To that end, learn more about the Canterbury plains, or perhaps, the stunning mountains of Queenstown. Just make sure you’re not afraid of heights! The above five possibilities represent a mere sampling of what’s available to you. Rotorua’s Hell’s Gate can offer one of the most unique backdrops for a wedding you could ever experience. Hawke’s Bay offers some beautiful vineyards, ideal for weddings and other occasions. Waiheke Island is another part of New Zealand that offers a range of wondrous, unique local vineyards and wineries. Where Should I Have My Wedding In New Zealand? In addition to all of the possibilities mentioned above, it is worth keeping in mind that New Zealand is also home to some of the most remarkable luxury lodges you have ever seen. Solitaire Lodge is a good example of what you can find. One of the first luxury lodges ever opened in New Zealand, Solitaire Lodge gives you a wedding ceremony that will connect you to stunning views of Lake Tarawera. You’re also going to love the horseback riding, the walking trails, and the fine dining. Bay of Many Coves, Eagles Nest Lodge, and Treetops Lodge & Estate are three more examples of luxury lodges in New Zealand. At the end of the day, you can find your dream wedding in New Zealand. Whether you opt for the spots above, or if you check out a golf course like Kauri Cliffs, you can find something in New Zealand to give you the wedding you desire. This is a country with much to offer.